Dr. Lára Jóhanssdóttir, Associate Professor in the programme for Environment and Natural Resources at the University of Iceland's Faculty of Business Administration, has been chosen as an Arctic Initiative Scholar 2018-2019. Outstanding scholars from all over the world were selected to participate in the programme through an open, merit-based competition. 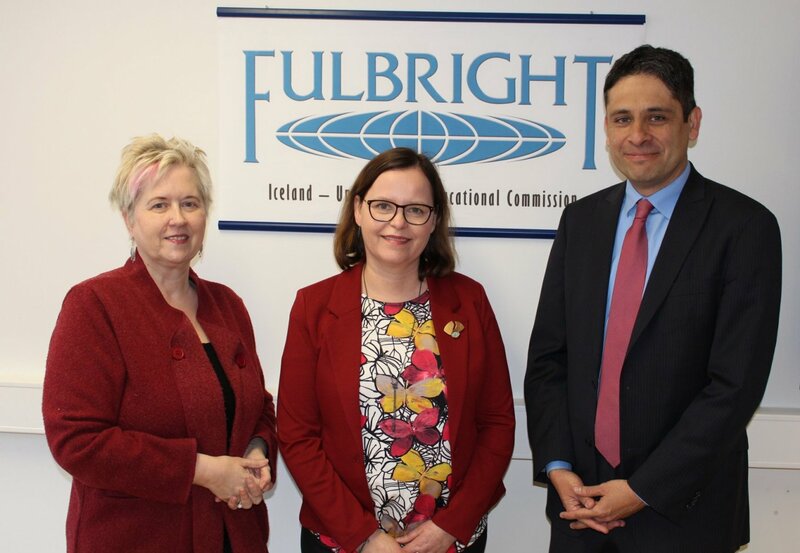 At its core, the Fulbright Arctic Initiative creates a network to stimulate international scientific collaboration on Arctic issues, while increasing mutual understanding between people of the United States and the people of other countries. Using a collaborative model to translate theory into practice, programme participants address public-policy research questions relevant to Arctic nations’ shared challenges and opportunities. A diverse group of 16 scholars will engage in collaborative, multi-disciplinary research over the next 18 months. Dr. Jóhannsdóttir is currently the only Icelander in the group. The group will be divided in two; one focusing on resilient communities, and the other on sustainable economies. Dr. Jóhannsdóttir will take part in the latter. The scholars will work on their own research, as well as forming teams. Researchers will explore topics such as renewable energy, fisheries management, health and wellness, and telecommunications infrastructure in the Arctic. Dr. Jóhannsdóttir will conduct her research at Dartmouth College, but she will also connect with scholars from the University of Maine and the University of Southern Maine. The first meeting will be held in Iqaliut in Canada next May. Dr. Lára Jóhannsdóttir holds a Ph.D. from UI, and a Master's in Business Administration (with honors) from Thunderbird School of Global Management. Her research focus is the finance sector, corporate social responsibility, and sustainability. She is a board member for the Institute for Business Research, the board of the UI research fund, and heads the School of Social Sciences evaluation committee. Dr. Johannsdottir has 14 years of working experience in the Icelandic insurance sector, and she has been a board member of an occupational pension fund since 2011.